Mexico’s team features the least experienced riders, and they are going against a pool of mostly lesser-known bulls as well. Their best matchups on paper are Edgar Durazo on Pennywise and Esteban Bustamante on Soup in a Group (because Bustamante is right-handed). Red Bull Rising and Soup in a may be the strongest two bulls they have, and Soup is by far the more rideable of the two, at least versus righties. Wolves coach Wiley Petersen may not have a stable full of World Champions to work with, but he has his guys paired up well here. The Wolves are really counting on Cody Jesus, Keyshawn Whitehorse and Cannon Cravens to carry the load for them in Round 1. Kern River is a perfect fit for Jesus and a possible big score. Whitehorse should get a score on Milky Chance. M.A.G.A. is a big challenge for Cravens, but he’s absolutely the right guy to call on in this situation. Cravens has to do well at this event for the Wolves to contend as a team. Justin Granger has the toughest deal here. South Texas Gangster is pretty hard to ride. Ryan Dirteater and Stetson Lawrence, the Wolves’ two most experienced riders, are facing the two least-known bulls, which is a good play. Cannon Cravens on 138 M.A.G.A. Team Canada has nothing but promising matchups here, and they could make this interesting. Rising Sun is the best draw imaginable for a left-handed rider, and they’ve got their strongest lefty on him. Zane Lambert has a shot on Wicked Dreams – a bull that came from Canada and should spin into his hand at breakneck speed. All of the Canadian riders are matched up reasonably well. The big ugly monster in their pool is Smooth Over. They’ve assigned him to Tanner Byrne and that’s a great decision. Byrne is the best equipped guy on their team to deal with him. Brazil will of course be one of the strongest teams in this competition, but it’s painfully obvious that their team would be stronger if they subtracted one right-hander from their roster and added Luciano de Castro. They may rack up five qualified rides out of their seven-man crew here. 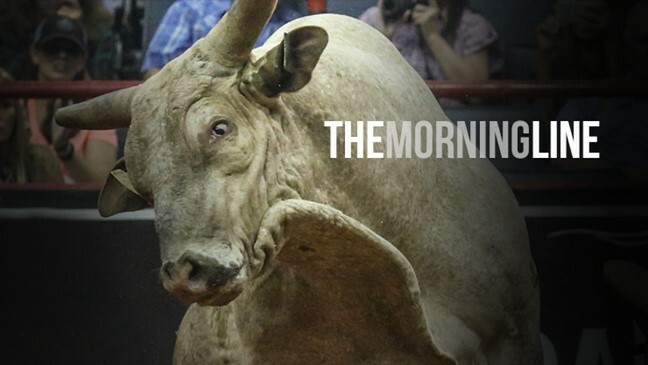 Kaique Pacheco is the only man facing an unknown bull. All the other riders have a good shot at getting the whistle – on paper at least. Don’t sleep on Bruno Scaranello. He is a talent. He’s really good on bulls that go into his hand, which is what he will probably face here. Their high-risk/high reward matchup is Jose Vitor Leme on Wicked Stick. This is a seriously difficult bull, but Leme was 90.5 on him just a few weeks ago. Team Australia’s best-case scenario is that it gets one qualified ride from Cody Heffernan or Jason Mara who are both on relatively unknown bulls, and three qualified rides from the rest of the field. Both Richardsons, Justin Paton, Kurt Shephard and Aaron Kleier all have decent matchups. Lachlan Richardson, Paton and Kleier have the best shot at bigger scores. The Eagles are banking on getting qualified rides from Cooper Davis, Cody Teel and Brennon Eldred. These three guys have the most advantageous matchups. Teel has the best bull in their draw group, and Stunt Man Ray is a near perfect fit for him. Davis is a huge favorite to ride Arctic Assassin. Eldred has the smallest edge here – he’s bucked off this bull twice before, but Big City is nonetheless a decent fit for a right-handed rider. Cody Nance and Derek Kolbaba are paired with the two least known bulls in this pool. One qualified ride out of these two would give the Eagles a big boost. Chase Outlaw and Jess Lockwood are shoot-the-moon picks. Two really good bulls, but both are pretty hard to ride. Lockwood has bucked off Wild Goose twice, but he lasted 7.7 seconds on him just a couple of weeks ago. Acting Crazy is somewhat rideable, but he can back up underneath himself while bucking, and Outlaw had trouble with a bull like this just last week. If one of these guys stay on it will be a big score.